Pinus sylvestris is an evergreen gymnosperm tree to 18 m tall; habit usually asymmetrical, older trees spreading and often flat-topped; bark of twigs and upper branches orange-brown, thin, peeling in flakes, near base bark dark brown, fissured in plates. Leaves needle-like in bundles of two, to 7 cm long, twisted, waxy blue-green. Flowers: None. Gymnosperm. 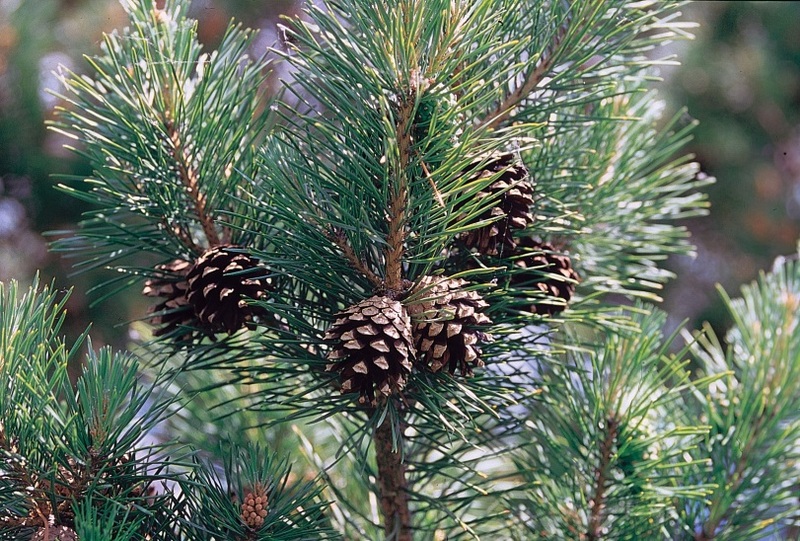 Monoecious; male cones yellow, deciduous; mature female cones to 7 cm long, oval, narrowed to base, gray-brown, scales blunt, short-stalked, falling at maturity. Frequency in New York City: Very infrequent in natural areas. Habitat: Frequently cultivated, may escape occasionally, soil pH 5-7.5 (USDA, NRCS 2010).